Nearly 70 Opportunity Ambassadors representing more than 100 organizations join. 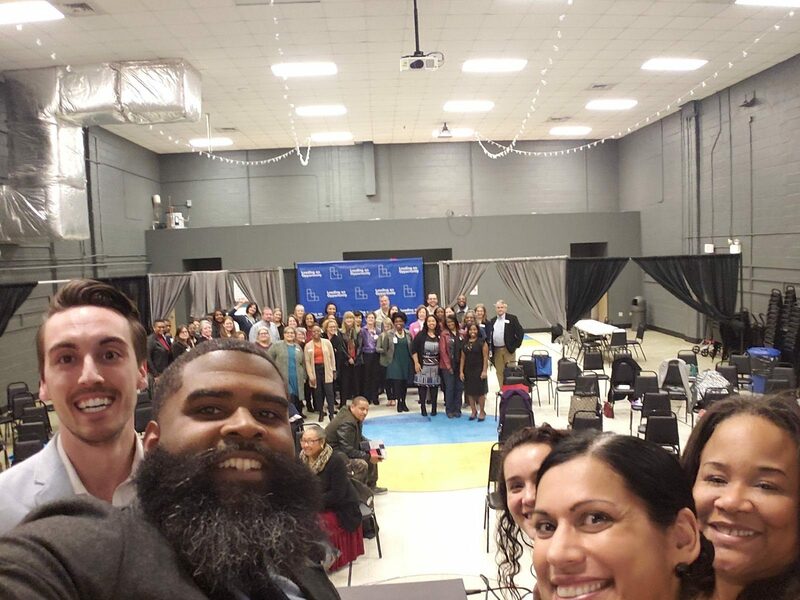 On March 4th, 2019 Leading on Opportunity hosted our first Community Impact Alliance Convening and Opportunity Cafe. Nearly 70 Opportunity Ambassadors from around the region came together throughout the afternoon with a common goal of improving economic mobility in Charlotte, while gathered at the International House on Central Avenue. Executive Director Stephanie Cooper-Lewter welcomed the Opportunity Ambassadors and shared an overview of Leading on Opportunity's work in the year ahead in partnership with community as we engage, amplify, influence and change. Community Impact Director's Don Thomas, Yuly Rodriguez and Kevin Loux shared their work keeping focus at a systemic level by asking the question, "why despite our best efforts to date, does the problem of economic mobility exist?" Charlotte is a city that is a leader in job growth, yet a national study also ranked us dead last among major cities in a child’s odds of moving out of poverty - 50 out of 50, to be exact. Mecklenburg County ranked 99 out of 100. How do we explain our region as a place that is simultaneously flourishing and failing? We are the story of two cities where the impact of segregation by race and income also segregated opportunity into two separate ecosystems: virtuous and vicious. In the virtuous ecosystem, support and resources give children a strong start in life and a better chance at success. And when they become parents, their success sets up the next generation for continued success. The vicious ecosystem leads to generational poverty where outcome gaps early in life only widen with time and struggles are passed on to the next generation. The Opportunity Gap between these two systems persist because of the impact of segregation. The day illustrated the impact of the cross-cutting factor of segregation on all three determinants - child and family stability, early care and education, college and career readiness - and lifted up the powerful role that cross-cutting factor of social capital to expand mobility. Alliance members also completed an interactive exercise focused on the power of collaboration and the interconnected nature of working collectively Opportunity Ambassadors and Agents of Change.